One of the most problematic and sinister drugs that have come into existence in recent history is crystal meth. Crystal meth is a completely man-made drug, meaning it is not derived from any natural plants or other sources. While many people may think that this would make it safer than other drugs like cocaine or heroin, this is not necessarily the case and may, in fact, be more dangerous in some instances. If you are concerned about this drug and the potential side effects of crystal meth, it is important to understand the facts about crystal meth addiction and abuse. To understand crystal meth side effects and why the drug is so dangerous, you must first get an idea of why people use crystal meth in the first place. Crystal meth is considered to be a stimulant drug as the primary component of this drug is an amphetamine. This means that it excites the nervous system, making it spring to action or act much more quickly and rapidly. In turn, a person who uses crystal meth will feel a sudden increase in their energy and excitability. They also often feel a huge wave of euphoria, which is perhaps the most sought-after effect of crystal meth. What are the Side Effects of Crystal Meth? All of these side effects can be problematic and some, like seizures and permanent organ damage, could be fatal. Because of this, crystal meth is considered to be an incredibly dangerous drug by law enforcement and medical professionals alike. What Happens During Crystal Meth Withdrawal? Why Should You Seek Treatment for a Crystal Meth Addiction? Most of the side effects of crystal meth withdrawal are not physically dangerous and do not pose an immediate threat to a person’s life. However, those that do, including suicidal thoughts and behaviors as well as severe depression could lead a person to harm themselves during detox. This is enough of a reason to seek out detox treatment for a crystal meth addiction. That is not the only reason to seek treatment, though. There are often emotional reasons that a person first started to use and abuse meth. Whether those issues are related to self-esteem, social anxieties, depression, anxiety, or simply a desire to fit in and be accepted (as well as any other possible reason), seeking out addiction treatment can help a person to learn to cope with those issues without abusing crystal meth or other self-destructive habits. 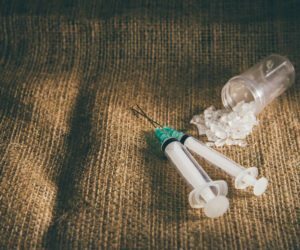 Understanding all of this information about the side effects of crystal meth as well as what it takes to overcome an addiction, you can be sure that you seek out the help of a treatment center if you have become addicted to crystal meth. To learn more about the recovery process at WhiteSands Treatment, call (877) 855-3470 today.